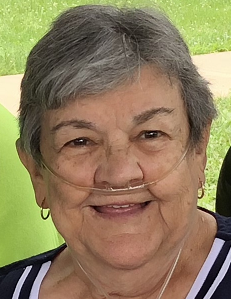 P. Maxine Cunningham, 74, of Corydon, died Thursday, November 15, 2018, at Harrison Healthcare Center in Corydon. She was born November 18, 1943, in Mauckport, Indiana, to the late Sam and Meredith “Melrose” Timberlake Cannon. She was a homemaker, and was a member of Mauckport United Methodist Church and Mauckport Extension Homemakers Club. She was preceded in death by her parents and her brother, Gilbert Cannon. Survivors include her husband, John Albert Cunningham; her sons, John Albert Cunningham, Jr. of Cincinnati, Ohio and Jeff Cunningham (Lesa) of New Salisbury, Indiana; her daughter, Penny Clinard (Mike) of Louisville, Kentucky; two grandchildren and three great grandchildren. Funeral services will be 11:00 a.m., Tuesday, November 20, 2018, at Beanblossom-Cesar Funeral Home in Corydon. Rev. Charles Pelc will officiate. Burial will be in Central Cemetery in Central. Visitation will be 3:00 – 6:00 p.m. Sunday, 2:00 – 8:00 p.m. Monday, and after 9:00 a.m. Tuesday at the funeral home. The family requests that expressions of sympathy be made to Mauckport United Methodist Church or St. Jude Children’s Research Hospital. Pallbearers will be Dave Shaffer, Sam Clinard, Josh Creedan, Brian Payne, Pat Teeter, and Greg Tatum.